If you have ever had the opportunity to watch a video of a herd of gazelle running across the savannah, or a herd of wild mustangs stampede across a prairie you may wonder how these groups of animals can move so flawlessly in unison together. Weaving as a group to the left or right. There is always a clear leader or dominant position, but how does the herd stay so synchronized? Herd animals need strong leadership. They are very sensitive to the space around them. They feel pressure or discomfort when their space is being approached and release or comfort when the pressure is released. It’s as if they have a bubble surrounding them and when it is pushed, even slightly, they feel it and react accordingly. Pigs are herd animals and they too have this sensitivity to their personal space. When you step toward a pig they feel the pressure of your approach and respond to it. You are disrespecting their space and they will feel the discomfort or pressure of that. A group of pigs, or herd, uses this respect of space to maintain a clear hierarchy. The dominant pig will show his ranking by frequently stepping in to apply pressure in the space of the lower ranking pigs in the herd. Essentially, teaching the other pigs to respect his space. If he comes your way, then you better move. This respect of space can be applied to pig ownership. You must demand that your space be respected and practice that dominant pig behavior of applying pressure to your pig’s bubble frequently. This will reinforce that you are the dominant in your family, not the pig. This does not have to be physical or forceful. Pigs require very little to react. A simple step toward them, shuffling your feet around them, a lean into their space, a movement of your hand, even a firm head nod, look, or sound can create the pressure needed to cause your pig to respond. Picture a circle drawn around the body of your pig. This is their personal space. You as the dominant leader must also have a circle of personal space that the pig must respect. Your pig steps in without invitation, then you must react to that pressure and respond by moving your pig back with similar pressure. You, however should always be allowed within your pig’s space. No invitation needed. Many behavioral problems are caused by a lack of a strong social hierarchy in the home. No clear leadership. This should be established when your pig is young and reinforced daily with small gestures that your pig will understand. Your pig is looking for the leader which should be the member of the family that the pig interacts with most. As the herd leader, you need be at the top of the herd hierarchy. In addition, every person in the family needs to assert themselves as higher in ranking than the pig. When the pigs are confident in and comforted by your leadership, they will be calm and content. If someone slips into a lower ranking position in the herd, the pig will assert himself as leader over that person. Unfortunately, pigs make very grumpy leaders! It’s important to correct this shift in the pecking order as quickly as possible. 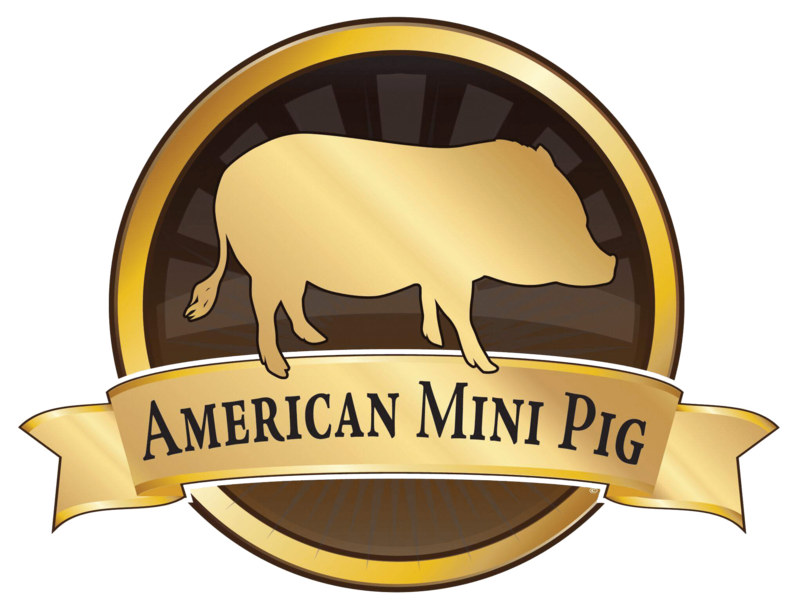 To prevent confusion, bad behavior, and potential future aggression from your pig we recommend teaching and practicing Respect of Space. Teaching respect of space can begin in several small steps. 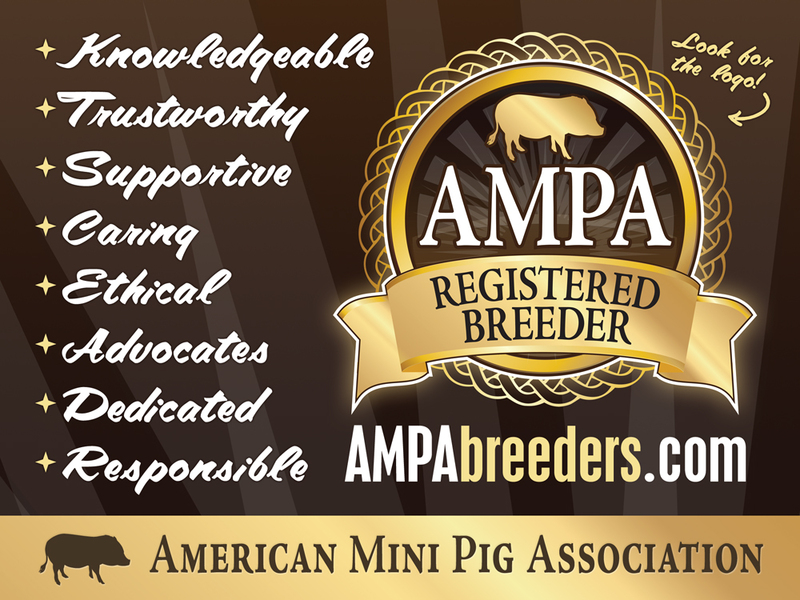 Regular training sessions with your pig is a very important way to establish and earn respect. 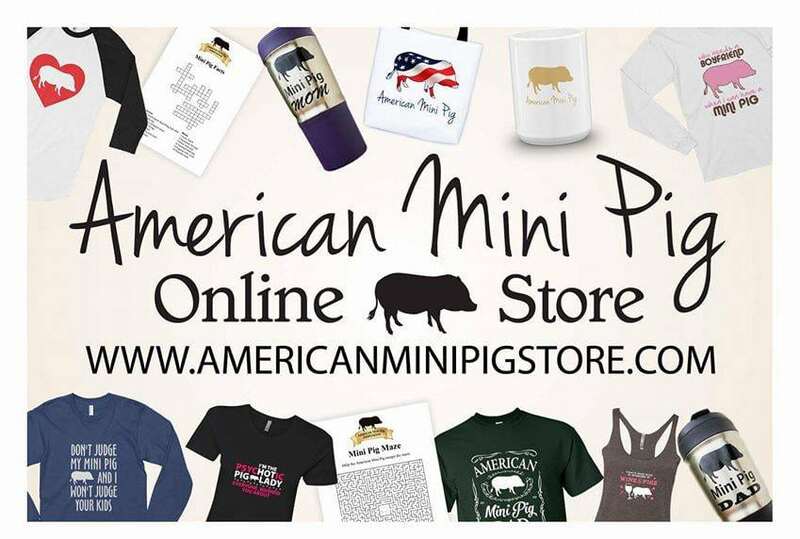 Your pig will quickly learn that he is required to earn rewards at your request. Integrating the use of the life skills into your daily routines enforces you as the leader. Sit, Stay, Come, Back, Leave It can be worked into your day regularly and require little to no direct effort on your part. Establishing clear boundaries, teaching and practicing back, stay, leave it reinforce that you are the leader and your permission is required before your pig can enter the kitchen or other areas of the house that are off limits. Using your body to require your pig to become submissive is an important daily enforcer. This is as easy as making a habit of walking without hesitation in your home. Don’t walk around your pig to avoid his personal space. You may need to shuffle your feet as you approach your pig. Require your pig move from your path. When your pig is cuddling with you on the couch or in the bed practice an occasional shift in positioning. Your pig should learn to be accepting of moving for you. If you are moving to accommodate your pig that is sending the message they have the control or leader position in that situation. Some pigs will react with a snap or head swipe if moved while sleeping. This is just the behavior you are trying to prevent from becoming more frequent by consistently practicing respect of space. Do not react if your pig lashes out, but continue to require that your pig move to accommodate you, or he will have to move down from the couch or bed completely. When you have an older pig that has not had a foundation of respecting space laid out for them from a young age your efforts may need to be more focused on applying pressure to your pig’s personal space. 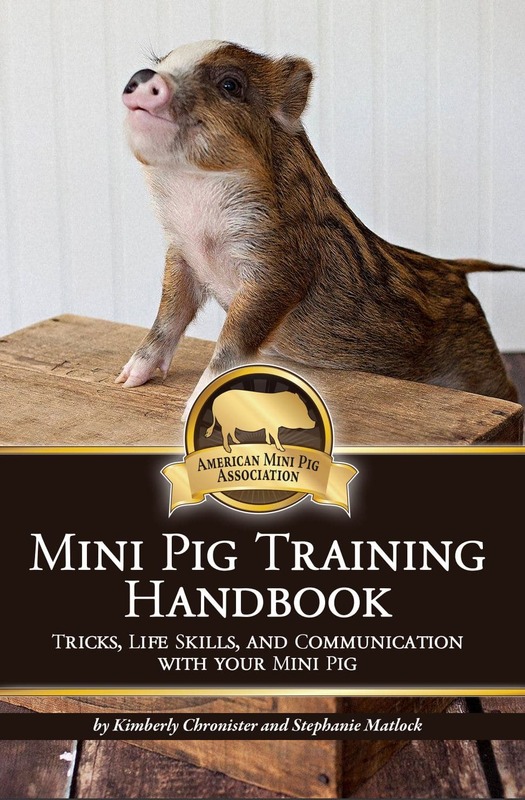 You should also use the above suggestions and use this book to teach your pig life skills that he can use daily. Even older pigs have the ability to learn new skills and they appreciate the added attention. Picture the circle or bubble around your pig and use your body to apply pressure for a response. Take a confident step or two in, sweep a hand gently toward the back of the bubble, move a stop sign hand toward the front of the bubble, walk closely into the back of the bubble. Watch your pig’s reactions to these different movements. It takes very little pressure to see results in most cases. Your pig should respond by softening their body, moving or taking steps away from the pressure you apply. Learning the amount of pressure, you need and the reaction it will cause in the pig is important for interpreting how clear your pig’s understanding of your role as leader may be. You should use these movements frequently to get the desired responses to establish or enforce your leadership role. Pigs that have not had a clear sense of who the leader is will resist. This requires more pressure and confidence on your part. Never use physical force to get a response. If you are working with a pig that has already shown aggression you will need a barrier between yourself and the pig when applying pressure to his space. 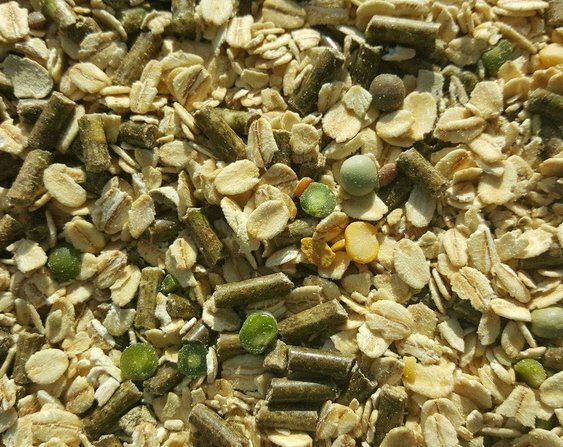 Sorting boards can be purchased on Amazon or farm supply websites. A chair or couch cushion can be used. A lid to plastic storage container or trash can. Just be sure to protect yourself while trying to evoke a softening in your pig’s face and body or submissive response of moving away from the pressure you are applying. If your pig moves toward you instead of away, you must apply more pressure. Move more confidently, give a command to back up, clap, or give an “AACK” noise while you move in to apply more pressure. Stomp your foot if needed. Whatever it takes to cause a response of submission. Once you see that response, back off and release the pressure. Just like any training, you will need to practice respect of space in very short intervals. It should be a gentle effort that increases with intensity as needed to get any glimpse of a positive response. You are the leader and your pig must give when you ask even if it is just a drop in head or shift of weight in the direction you are moving, or a step away. Always end when you have received the positive response you are looking for. Anytime you are working with a pig, patience will be key. You should never practice or train if you are feeling stressed, frustrated or angry. You should never use force, hit, or push your pig. Take every positive response, no matter how small, as a win and celebrate it. From one small positive response a day you can build toward success. 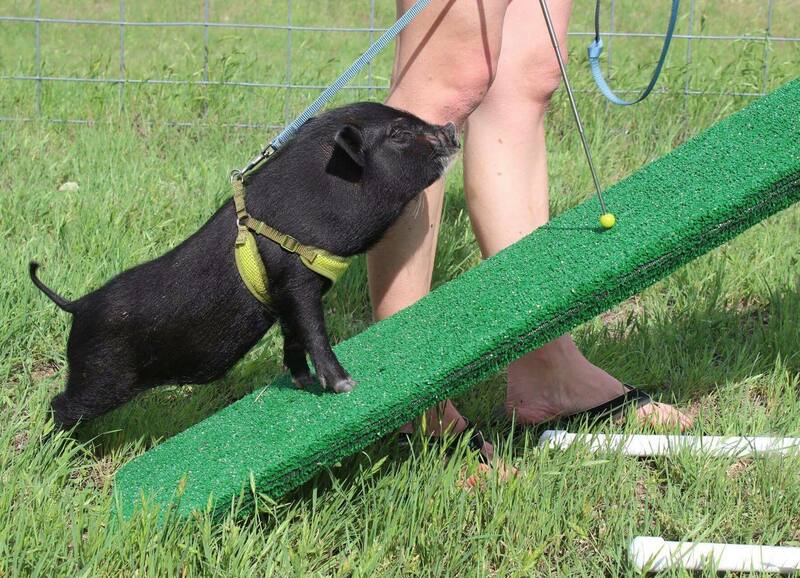 Teaching our pigs to move when and where we ask is just like teaching any other behavior we want. Our goal should be to break the exercise down into tiny pieces the pig can absorb, then once he grasps the basic concept we work toward putting the pieces together to shape the behavior further. To put this in relatable terms it is very similar to teaching a child her ABCs. When that task is mastered, she can move on to writing words, then sentences, then paragraphs. We teach small steps, then string them together to complete a task. 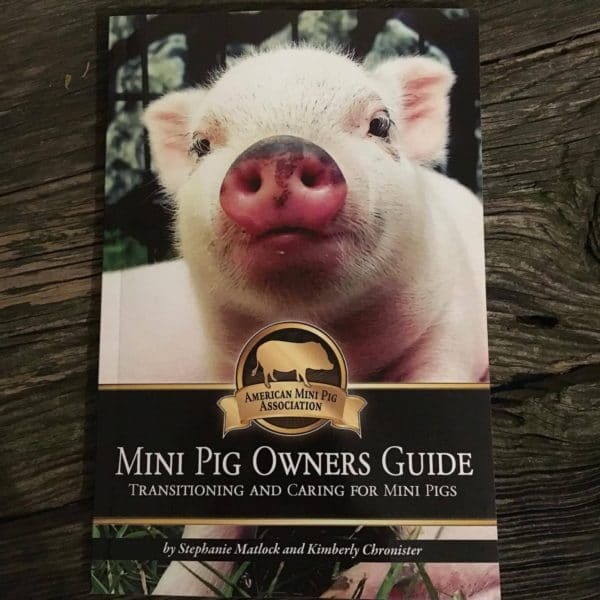 This first set of instructions is geared toward the pig that simply needs to learn to move for us, as well as her owner, who needs to learn to move her confidently. For a pig that has already established unwanted behaviors, like head swiping or biting, we make adjust a couple of adjustments, which I will outline later. This is all perfectly natural for a pig; as a herd animal he innately understands that moving when asked is conceding power to you. That is instinctive; it’s pig herd language 101. 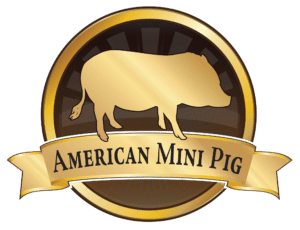 What we are doing is connecting a natural and very desired behavior to specific cues or signals so that we can calmly use that behavior to our advantage in a variety of situations we are undoubtedly going to encounter as pig owners. This is NOT showing him who’s boss, being top hop or being alpha pig. This is simply leading our pigs in a direction they can understand and in which we want or need for them to go. First and foremost, it is essential that we begin teaching any behavior in a calm environment. While MTP is extremely effective in preventing and changing unwanted behavior, like biting or head swiping, we sure don’t want to try MTP for the first time right after any altercation with the pig. Trying to do this is skin to having an elementary school student take and English test right after having a heated argument or fight on the playground. His mind is not receptive to processing anything new in that moment. Choose instead a calm time and place when both of you are relaxed. In the beginning we’re going to give several very clear signals or cues to alert the pig that something should be happening. She won’t understand what they mean at first, but that’s expected. We’ll make it clear to her very quickly. As we advance in teaching this and she understands more of what we want we can refine the signals and ask for more effort from her. So the pig is chilled, maybe having a nap, maybe just snuffling about doing piggy things. The first thing I want to do is to increase my presence and energy. Instead of just puttering about, I’m going to step toward him with authority, even thudding my feet a bit heavily. Then I give a verbal signal. Choose one that you can live with because you’ll use it often with this program. I say “come on, let’s go, let’s go!” in an authoritative voice. It does not need to be a yell or shout, but it does need to impart a sense of urgency, like you don’t have all day to wait, because you don’t. When you ask for movement, for it to be effective, it needs to happen immediately. I also will clap y hands or give a clucking sound, like someone urging a horse into a trot. I have no idea how to spell that sound, so I’ll go for the description instead. So count those up: feet, voice, clap and or cluck. That’s three, possibly four strong signals if you use them all, which alert the pig that something should be happening. She doesn’t have a clue what that is yet, but by the time you take several animated, marching-type steps to get to her, she’s on alert, and may well have stood up if she was previously laying down. This is great, it’s what we want. If she happens to move away a couple of steps, you can stop there. If not, you add another cue for her. Keep encouraging her with your previous signals, and walk firmly into her bubble, her personal space. If she does not move away, step right into her, being careful not to trip over the pig. She will likely give a squeal or grunt of surprise and jump away. As soon as she moves even a step or two away from you immediately stop your movement and stop your signals. Make it very defined, like someone unexpectedly pulled the plug on your power source. Tell her “good” or “good girl” so she has a verbal affirmation that she did what you wanted. Take a deep breath and blow out. If your pig is one of the more dominant type that has begun or even has firmly established dangerous behaviors like biting or head swiping, we simply add a sorting board to our tool box for safety. The steps to move him are identical, with the exception that you’ll be holdinand the pig. In that type of pig, you are much more likely to get a reaction instead of action. He may well swing around and confront you when you get into his space, and in that case you would simply keep the sorting board between you and his head, and carry on. As you step, you’ll bump-bump-bump into him with every step. If he resists, and he probably will, it is perfectly permissible to increase the pressure until you get the desired effect. If we stay static at the same level of pressure he’s resisting, we actually teach him to resist to that level ad even a step above it. If we increase the pressure onward and upward, we will eventually find the spot where he decides the payoff for unwanted behavior is not worth the effort. So if bump-bump-bump does not get immediate results, you go to bump-bump-BUMP. If he’s still in the naughty zone, banging his noggin’ on that sorting board, you step it up to BUMP-BUMP-BUMP. We need to leave no doubt that we expect him to move and move now. Then just as with the more docile, calmer pig, we stop and five our verbal approval by telling him “good” or “good boy”. Remember, the cessation of the pressure is what tells him he did what we want, so just like we expect an immediate response from him when we ask for movement, so we absolutely must give an immediate response when she does what we wanted. This is an exercise in accountability, where ours is even more important that his. Once he’s moved and you’ve released the pressure, you can then invite him back into your space. This is important, for as much as we want to have a sensitive pig that moves when we ask, we also want a relaxed pig. If all we do is move-move-move they can become overly sensitive and jumpy. We want to make a very clear distinctions between now we’re moving, and now we’re not. We do this by inviting that pig back to our space for a quick rub or scratch after the moving exercises, then walk off and go about our normal business. You don’t have to invite them in with every single move, but you do need to do it often. We constantly strive to find the balance between sensitizing them (moving) and desensitizing them (inviting them back to us for a rub). Those are two sides of the same well-rounded pig. We lather, rinse, and repeat this maneuver several times a day specifically to teach them that any time and any place we ask them to move, they need to do it. How often depends on the pig. In the beginning, we want to repeat it enough that it becomes automatic, the pig moves when we ask, then calmly comes back to us when we are finished with the exercise. 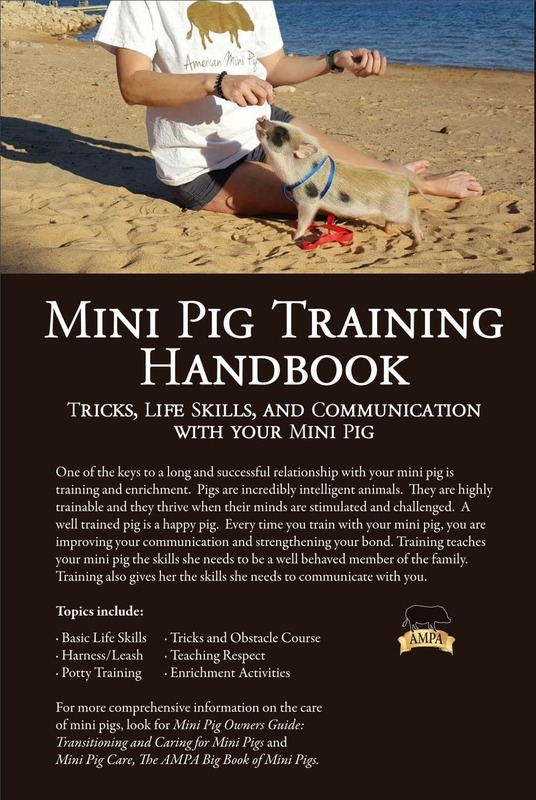 A very light, responsive, naturally submissive pig won’t need nearly as much as a pushy, dominant pig, or a pig that has already established unwanted behaviors that need to change. As we advance in teaching this maneuver we will add another step or two, then another. 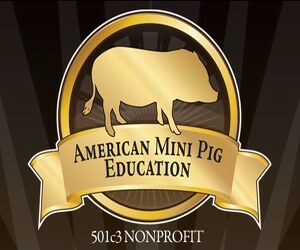 Just like any behavior we teach, there’s a learning curve, not just for the pig, but for the human as well. With practice we can learn to vary our speed, direction, and intensity. We will also refine the signals we give. While we start out with exaggerated step/voice/clap/cluck, in time we shift the cues to be lighter and more subtle. Eventually, we can simply walk into his space and he will move respectfully and easily out of our path.